Support for Google Drive is coming back in version 5 of Cyberduck. 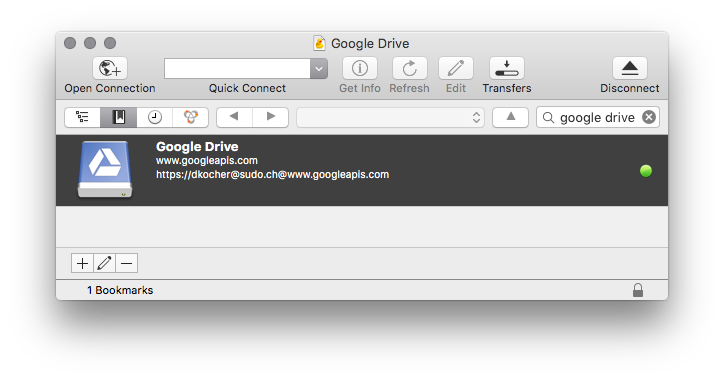 Access your files stored on Google Drive without synching to your desktop. You can give it a try in the latest snapshot build. Update: Support for Google Drive is now also available in Mountain Duck with version 1.4.